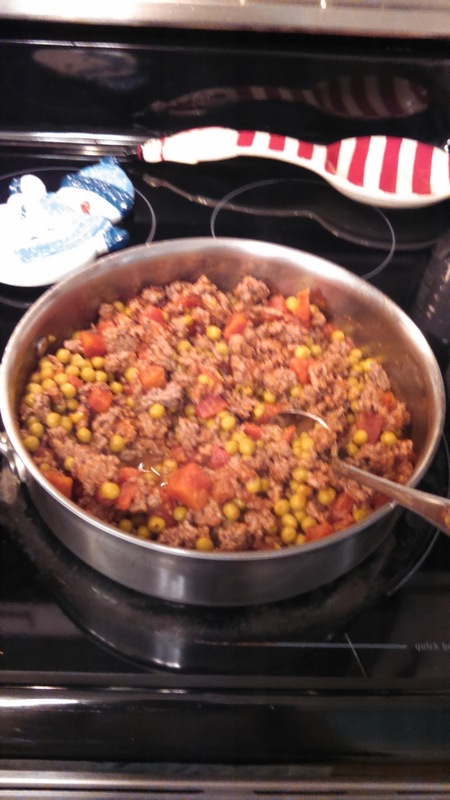 Adventures With Toddlers and Preschoolers: Quick & Easy Shepherds Pie Recipe With Just 4 Ingredients! Quick & Easy Shepherds Pie Recipe With Just 4 Ingredients! I don't know about you, but I'm tired of cooking the same old things every night. I decided to use what I had in my pantry and throw together the quickest and easiest shepherds pie ever! This is so easy it literally took me just 5 minutes to prepare this meal. Then it just has to bake about 15 minutes. Best of all this recipe just uses 4 ingredients! Score!! In a big pan cook 1 lb of ground beef. Then drain and add back to pan. Combine 1 can (8 oz.) of diced tomatoes (I used chili ready tomatoes) and 1 can of pea's. Add the mixture from your pan to a casserole dish (9x9) and add mashed potatoes to the top. To save time you can use instant mashed potatoes ;) Bake at 350 for 15 to 20 minutes. 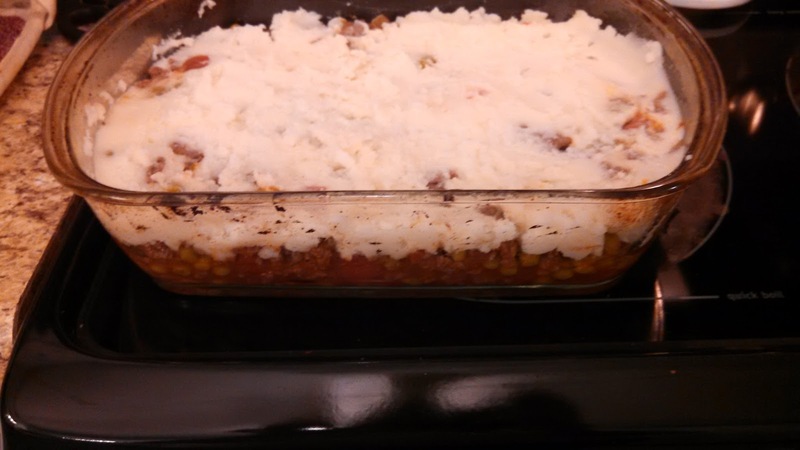 Super easy shepherds pie is now one of my kids favorite meals!